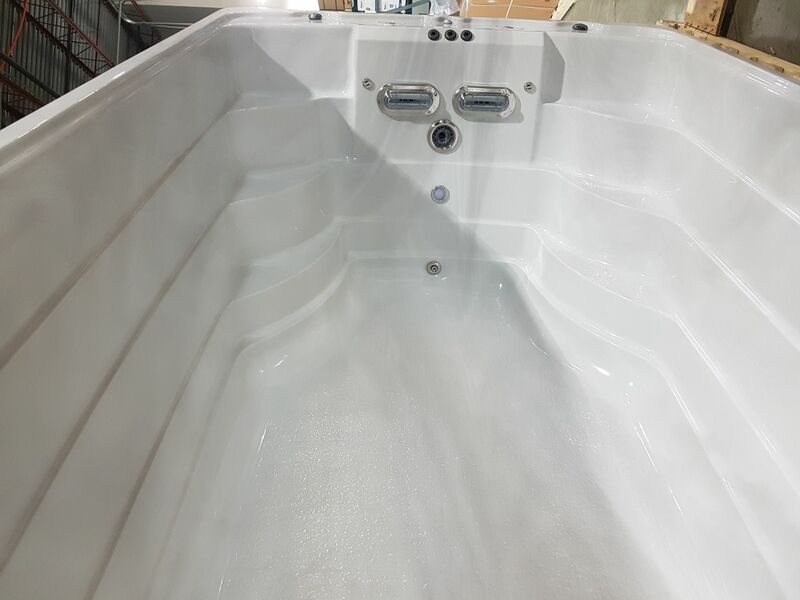 The SwimLife 19DT SwimExpert combines the ultimate swim experience of the SwimExpert range and the luxury of a 4 seater hot tub, this has the be the ultimate in a home swim spa. It combines an exercise spa, built in stairs and an attached 4 person hot tub with 30 jets and separate controls. Set the temperature to 28 degrees in the exercise area for swimming or water aerobics and set the hot tub to 37 degrees for unsurpassed family fun and relaxation. It’s the ultimate combination of exercise and pleasure. Our smooth, even current oif the SwimExpert range is fully adjustable in speed from a gentle breaststroke to a racer’s pace. At full speed the swim is identical to a 1:08 hundred yard pace. The swim current is as natural as nature itself and provides you the ability to focus on your stroke and enjoy the fluidity of the swim current adjusted to your personal swim level. The SwimLife swim spa massage is like no other in the industry. There are three areas that make up a great massage. The jets, the jet placement, and the seating. 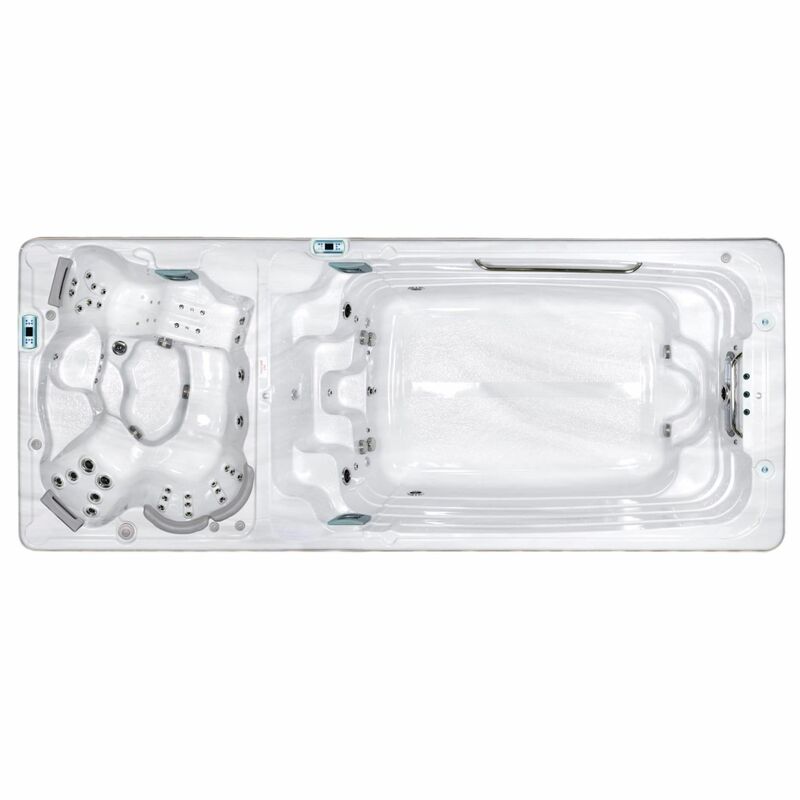 The combination of these three aspects set the industry standard for hydrotherapy in a swim spa. The perfect mixture of air and water in the E-Class jetting is designed to give a balance between a deep a soft tissue massage. The jet placement is designed to work for different muscle groups as they are arranged in a pattern to give superior hydrotherapy benefits. The ergonomically designed seating is made for comfort with you in mind to give multi-level seating for people of different heights and recessed jetting for comfort.